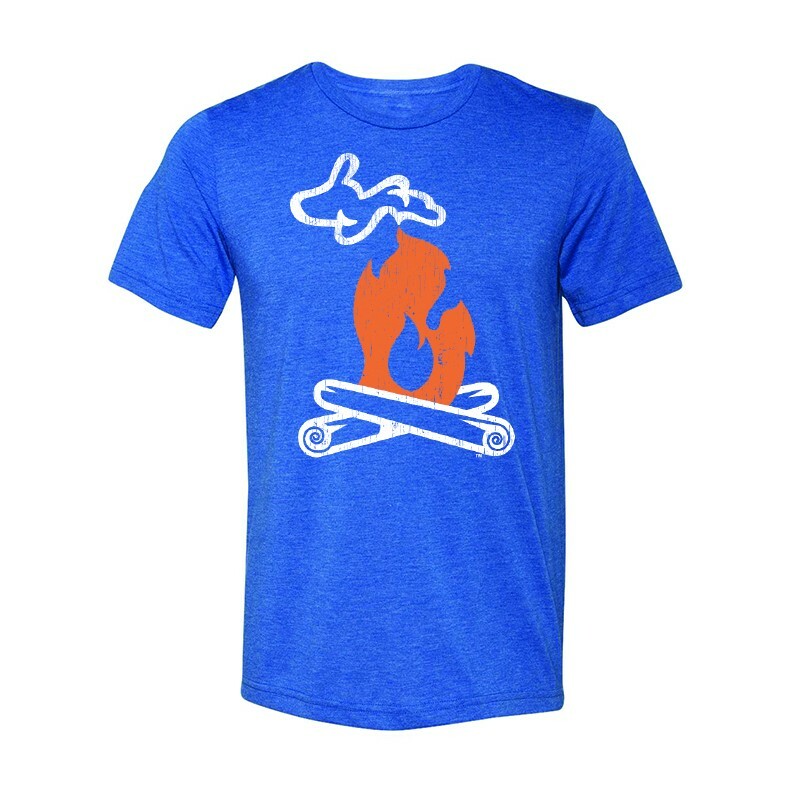 Super soft tee featuring the UpNorth Michigan Campfire on a royal heather tri-blend tee. Classic fit and crew neck. Cotton/Polyester/Rayon. This uniquely soft t-shirt feels like a well-worn favorite! Featuring the UpNorth Michigan Campfire logo on a royal heather tri-blend color. Classic fit and crew neck. 50% Polyester, 25% Combed and Ringspun Cotton, 25% Rayon.